I’ve been contemplating replacing the Bro for a while now. I was doing some online research online and came across this beauty. Wow. This gorgeous thing is Alto sewing machine. Created by Sarah Dickins, who wants to bring “make do and mend” back into fashion. Her Alto sewing machine, a contender for the 2012 James Dyson Award, combines sleek, vintage-inspired lines with beginner-friendly controls to encourage display and invite frequent use. 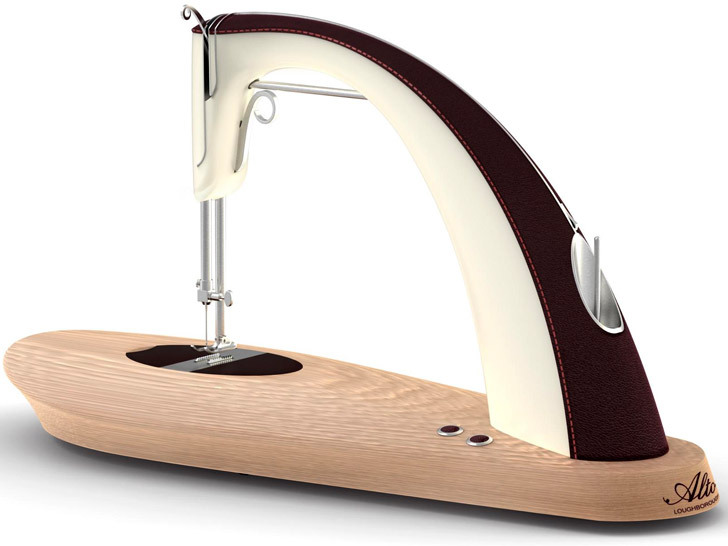 The Alto is a sewing machine that not only demands to be placed in full view, but simplifies manipulation for novices. A metal guide that runs from reel to needle, for instance, makes threading a cinch, while pressure sensors along the needle plate and in the rubber foot allow the beginner to control the machine’s speed in a manner that’s natural and intuitive. A flexible drive shaft replaces the traditional pulley system to create Alto’s distinctive arch, increasing room for fabric and improving workspace visibility. Feedback from the Alto prototype’s trial run has been overwhelmingly positive. Volunteers described the experience as “very natural,” agreeing that “you automatically know how to use it.” The Bro might have to work a while longer until the Alto goes into production.